This weeks question comes from a client of mine who currently lives and works in Dubai. He was raised in Dubai before moving abroad for a number of years, but has returned to his homeland. However, like many people living in countries and cities with a rapid growth and thriving expatriate community, he feels that it is now time for him to move to new pastures and become an expatriate himself! I have been living and working in Dubai for the last 10 years and I love it, but Dubai is my homeland. Many people come to Dubai as expats and now I feel it is time for me to move and become an expatriate myself. I was thinking about relocating to Tokyo, Japan. Do you have any advice on what the expatriate lifestyle and business culture (specifically for expats) is like in Tokyo and how should I start my job search? The job market today is an international one with many senior level executives looking for challenges abroad. Relocation brings a fresh set of challenges and experiences. At Career Intelligence we are committed to offering the best advice and support for you so that any decision you make is well informed and you will know how to conduct your search effectively and efficiently. Many of my clients have been asking about the far east. Tokyo has always been a popular place, with a thriving economy and with the headquarters of some of the largest banks and insurance companies it has long since held a strong draw for expats from all over the world. It is often named among the top three global financial centers along with London and New York and is a great place to consider if you want a change but still want to be at the center of business. Below is some information about what to expect if you moved there and if you haven’t seen it already the Career Intelligence ‘Essential Relocation Information’ (PDF) guide is really useful reading for anyone considering a variety of different locations. 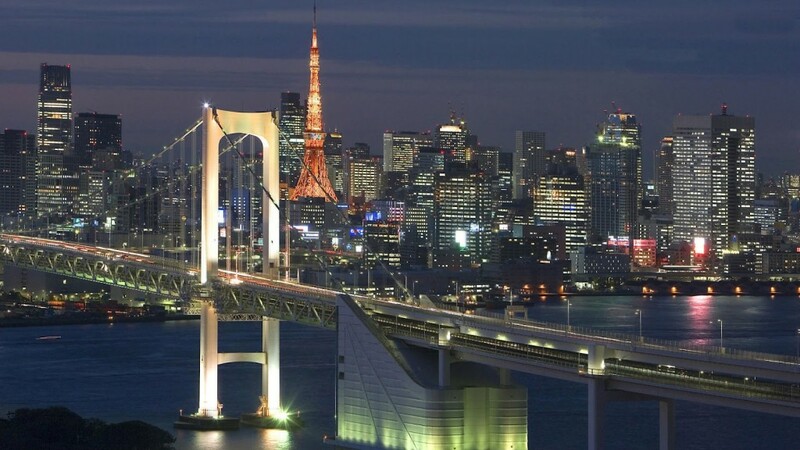 Tokyo is the largest metropolitan city in the world with a population of 32 million so as with any large city it has advantages and disadvantages. 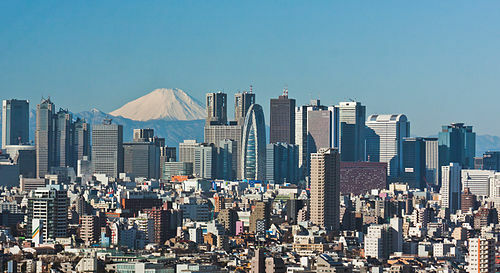 Tokyo is the hub of Japan with nearly a quarter of all workers living in or around the city, alongside its impressive financial services it is also the home of the countries publishing and broadcasting industries. The cities economic strength is balanced with a good number of museums, theaters and the highest amount of Michelin Stars anywhere in the world, so a great place for restaurant lovers. In terms of getting around Tokyo has the most advanced metro system in the world and well organised public transport but due to the huge number of residents there is often crippling traffic. As with any major metropolitan area Tokyo suffers from severe congestion, noise and air pollution with very few green spaces to compensate, but what it lacks in parks it more than makes up for in culture and atmosphere. Tokyo has suffered the effects of earthquakes throughout history and although their building technology is so advanced it is still a cause of worry. For expats living in Tokyo you must have the appropriate long term commercial work visa, with each visa there is specific length of stay and activities that may be carried out whilst living in Japan; at all time a passport or Alien Registration Card must be carried and any change of address must be registered within 14 days at the ward office. Most international companies will help you through the process and offer relocation compensation. The schools in Japan are internationally recognised for their quality although class sizes are high, there is also a good choice of international schools. The health services are very reliable although you may want to take a native speaker as few doctors speak anything other than Japanese. In terms of where to start if you are already working for a large multi-national company then ask your bosses if you can transfer, give reasons why you would be able to add value both to the Tokyo office and your office when you return; it will be much easier to have their support through the relocation process. If transfer is not an option then try your network or try to expand your existing contacts so that you don’t miss any opportunities. http://www.internations.org is a great place to start to get connected with exsiting expats. For jobs that are being advertised http://jobs.efinancialcareers.com is always a very reliable site and offers opportunities from all over the world. We also have a range of YouTube videos from our Senior Executive Career Coaches which you can watch via our channel. In particular, one video that might be of interest is this one from Colin Duncan who talks about business networking and how to be open minded about meeting new business connections at any time. I hope that gives you a good place to start and do read the full review of Tokyo in our Career Intelligence Guide which will give you many more interesting facts on Tokyo and what to expect. Have a question for Emma? Be sure to email Emma here. Alternatively you can follow Emma on Twitter here. 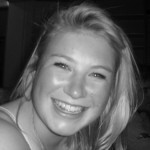 Emma is the Senior Relationship Manager at Career Intelligence. She is also the Agony Aunt for the Career Intelligence blog, helping with any questions or issues that expatriates moving abroad may have. Agony Aunt – Why Am I Not Reaching Interview Stage?